Three types of terrain: ground, slopes, water (optional). Solar array column regional construction engineering, work interface for: field within of all equipment installation, and basic site flat, and cable laying, and debugging, engineering construction content, as piling, bracket installation, component, and Confluence box, and inverse variable device, and box variable, electrical equipment of installation debugging, and all line cable laying, and received (containing video monitoring line cable, and communications cable, and melt fiber) and fire seal blocking; regional, and equipment, and facilities marked and anti-mine grounding engineering,. In this section in addition to the tender to provide materials and equipment, all the other primary and secondary materials provided by the contractor. In the control floor of civil and the decoration, and equipment based, and boost station distribution electric regional within of high low voltage switch cabinet, and station with variable, and SVG, and main variable (not containing main variable ontology in place), and AIS, and II times equipment, and lightning rod, and grounding variable, all electrical equipment installation (containing discharge in place, and Group screen, and on side and the this side melt fiber; equipment, and facilities marked), and debugging. Main equipment provided by the tenderer. Civil engineering, including numbers, fences, roads, Office building, water pumping stations, lightning protection and grounding (including main grounding grid connection), drainage, heating, ventilation, equipment, video surveillance in the field based and embedded pipes, water pipes connected to the construction of municipal pipe network and other related projects. Contracting for labor, material, debug, package, and acceptance. Section one, two or three of the total package, covering all three sections set out above. Applicant registration kit and marked several sections of the response. 2.1 in the people’s Republic of China in accordance with the People’s Republic of China company registration, with legal personality and capacity to accomplish this project. Section one: applicant must have a mechanical and electrical installation of tertiary or above qualification, installation (repairing, testing) and electric utilities license qualification. a. Power transmission and transformation Project Professional contracting qualification. b. Mechanical and electrical installation level II or above qualification, installation (repairing, testing) and electric utilities license qualification, civil engineering construction and installation of three level of construction quality, production safety management certificate. Section three: civil construction must have the construction and installation of three level of construction quality, production safety management certificate. Section four: while all of the qualifications required to meet the above three sections. Qualification document above shall provide verification of original documents at the tender stage. 2.3 the project does not accept the Consortium bid, but at the same time with multiple qualifications unit can respond to multiple sections of the tender. 2.4 the applicant should be in personnel, equipment, financial aspects with the corresponding construction capacity. Section one or two such as or similar power project construction experience and performance priority entries. 2.5 the construction site of the project the project manager must have national or international project manager certificate, project managers have experience in construction of large, complex projects, and should be for the actual project management responsibilities who entered project construction field technician, quality inspector, security officers must have a post certificate. 2.6 applicants must be a violator’s license, security the construction permit, the company as an independent legal entity. 2.7 the registered capital of RMB 10 million Yuan (or foreign currency equivalent) and above. 2.8 Bank’s good credit record, and financial condition. 2.9 the applicant should have a good business reputation and performance, no poor performance records, no bad record of the proceedings, no punishment in violation of the record in the bidding activity, has no record of poor construction quality, no farmer workers ‘ wage records. 2.10 the tender does not allow outsourcing. 3, prequalification method: the pre-qualification uses a qualified business. January 08, 2016 17:00 (Beijing time). 4.2 submission of prequalification: enrolment by telephone, paper documents or electronic documents, mail submission. 4.3 overdue application documents to the hearing, the tenderer is inadmissible. We welcome applicants to Li Tenghui visited the company in Exchange! We go to the supermarket to buy groceries, and also in the crowded aisles crowded, to stand in line to pay, to bring these things to the car home, you feel very sick? Well, this time you need a robot that can help you with your shipment, and once shipped it costs about US $ 1.5, Oh, by the way, perhaps it’s delivered to your door in just 30 minutes. What robots? It was founded by Skype founders before AhtiHeinla Starship Starship Robot startups bring us robots. This robot has a special map and navigation technology, which can make it not be interference by the side of the world, listening intently as porters for us. It can load both the weight of shopping bags (two packages), little ones will use the “land” way, through the city streets, came to the front of your House. Before and during the delivery, you can select scheduled delivery time online, so you don’t have to dry. But it is a pity, Starship Robot also has some shortcomings, for example, it cannot conquer the rugged road, this also means that you have to make sure the store to your door is as smooth, the little guy is 4 miles at a speed of per hour, this walk slightly faster than us. But the robot just at the initial stage, the design team plans next year in the United Kingdom launched its, starting after delivery, you can also use a smartphone companion App to track the robot’s location. You know, a robot with two parcels on the road, it is very easy to Rob, in case someone wanted to drink a coke in your shopping bag, what should I do. So after set, unless they receive Express customers can unlock it out parcels. If this robot will be further refined, for example, can carry more cargo, such as speed faster, such as the ability to adapt to the terrain a little bit tough, then express brother really is out of a job. Can you imagine that we express in the future, land robots, air drone? This is really cool. Yes, this robot is completely environmentally friendly, zero-pollution of the environment, and less power than a light bulb. These industries project scheduled to be completed in 2017, I appointed will be completed according to the actual investment condition, combined with the annual scale of national PV, release photovoltaic parks in phases indicator. Polaris solar PV net news: in recent years, with the rapid development of domestic economy and massive use of fossil energy, domestic environment also suffered from an unprecedented crisis. “China must adjust the energy structure”, which is the current consensus in the home from top to bottom, and development of renewable energy also have an irresistible opportunity. According to “Twelve-Five”, new energy is developing rapidly. Wind power only, until the end of 2010, grid-connected wind turbine 41.827 million kilowatts in China, more than United States, and ranked first in the world. As of third quarter of 2015, China’s wind power installed capacity of 108.85 million-kilowatt, more than doubled in just 5 years. In 2014, the State grid area, new wind power installed capacity of 23.196 million kilowatts, an increase of up to 44.2%. Photovoltaic power generation, the end of 2010, PV installed capacity 893,000 kW; by the end of September 2015, the number has become 37.95 million-kilowatt, 5 years was more than six times. Only the first three quarters of this year, nationwide 9.9 million-kilowatt PV. Under the feast, will lead the rush of capital, for a time, power giant, a large number of private enterprises in China have layout the renewable energy market. However, behind the hot market, not a Royal. Energy Department data shows that in January-September this year, Gansu and Xinjiang to abandon rate is 28% and 20%. Situation is even more serious in the four quarter. Shanghai Daily News reporter learned from the industry, PV power plant in Ningxia in October this year that brownouts, some power blackouts of up to 70%; Gansu November blackouts of about 60%; in Xinjiang in December of interim measures or even use the full power of new energy, power about 95%, some counties even power 100%. As we all know, reverse distribution energy supply and energy demand in China, in terms of resources, “rich North and poor South-East West” on demand is just the opposite. It is worth mentioning that not only fossil fuels such as coal, oil and new energy sources such as wind, solar, too: more than 80% of wind energy resources in “three North” areas, solar energy is “plateau than the Plains, Western than eastern”, and 75% per cent of the energy demand is concentrated in the Eastern and central regions. Industry sources say, on the one hand the “three North” regional economic development is lagging behind, small power demand, electricity markets, on the other hand it is fossil fuel and renewable energy are relatively affluent, this will inevitably lead to new energy to dissolve contradictions. Spanned out power channels if there is not enough, even in Gansu and Xinjiang stopped in thermal power plants, so has abandoned wind, abandoned. Would abandon wind anyway, abandoning the “three North” area, to abandon less wind, abandoned, power grid enterprises racked his brain. Despite local efforts to eliminate new energy have never stopped, but power grid enterprises and new energy power generation enterprises know, the “three North” areas of new energy and power out of the area, is resolved to abandon the wind, abandoning the essential strategy. Domestic new energy company official said that currently, Tacheng Prefecture, aletai region in Xinjiang, wind power development is beginning to take shape, has not reached the million-kilowatts into bottlenecks. Relying solely on the local absorptive, wind power is no way for large-scale development. In his view, the only reference Hami wind power base of UHV delivery experience, started delivery to dissolve patterns to develop huge amounts of wind power resources in Xinjiang. Statistical data show that same surplus electric power, wind power is relatively close to the Gansu and Xinjiang, for UHV delivery channels, abandoned in this round in the wind, Xinjiang’s situation is better in Gansu province. By October 2015, Xinjiang wind power installed capacity 9.43 million-kilowatt, Gansu 12.02 million-kilowatt, January-October, the Xinjiang wind power utilization hours 1438 hours, power 12.534 billion kWh, and Gansu’s wind power utilization hours only 1051 hours, only power 11.068 billion kWh. “Three North” new energy power generation local absorptive, spanned out of the difficult situation, sgcc has been reported to the relevant departments in various ways, early sent is an approved UHV power channel. For the power channel has approved, such as Jiuquan-UHV DC transmission project in Hunan province, the company is speeding up construction and strive for an early completion of commissioning. Company is also actively promoting East-Chengdu, East-East ± 1.1 million volts high voltage direct current transmission project approved. Both projects capacity amounted to 24 million-kilowatt, only East-East UHV projects to deliver Xinjiang wind power 5.2 million-kilowatt, PV 2.5 million-kilowatt. Has industry people said, if in new energy rapid development of “Twelve-Five” of early, national about sector on can realized that new energy power, and grid engineering coordination development of importance, and urgency, ahead approved a “three North” area power outside sent channel project, so, “three North” area abandoned wind, and abandoned light on not has now so serious, new energy development situation will than now better have more. Coincidentally, the Northwest is yet to ease, in the West of the country, wind power in Yunnan province, also welcomed the “awkward” situation. It is understood that the Commission issued on November 20, 2015, Yunnan province, Yunnan province, industry and information technology issued November 2015 and December wind turbine power plant clean-energy of the work programme of the replacement notice (“2015″ document No. 314) proposed wind power industry compensate for thermal power enterprises, wind some of the proceeds paid to thermal power plants. Reply of the State power company, dry season price for charging standard, wind power companies will charge a standard 60% paid to thermal power plants. Industry analysts said, according to the price “2015″ 36th, new benchmark coal price in Yunnan power grid 0.3563 Yuan per kWh, wind turbine per kilowatt hour will be compensated according to the requirements for thermal power 0.21378 Yuan (0.3563/*60%). Wind power in the province in November and December when the electricity is about 1.8 billion-kilowatt, according to this calculation, Yunnan wind power companies will free supply thermal power enterprises of 380 million Yuan, it will be 15 50,000-kilowatt farm income profit of the year. New energy company also said that although rich in wind power resources in Yunnan province, but belongs to the Highlands region, construction affected by mountains, the rainy season is difficult, high unit cost of revenue cycle length; and after the completion of the project also needs to invest a lot of money to restore ecology. Most of the wind power business is done through bank loans to fund construction, obtained through the power tariff revenue and subsidy income to repay Bank loans and interest, but the current subsidy income lag, which is equivalent to one side owes subsidies still need to pay the bank interest, more pressure in the wind turbine companies. It is understood that the wind and fire policy taken Yunnan greater impact on wind power companies, some wind power companies say the policy would affect further investment in Yunnan. In this regard, most of the experts surveyed said they could not understand. Zhongguancun Xinhua new energy Institute Vice President Lin Yu believes that this procedure is not according to the laws and policies of Yunnan. Serious violations of the CPC Central Committee and the State Council on further deepening the reform of electric power several opinions (hereinafter “9″) and the national development and Reform Commission on electric power system reform of supporting documents. Lin Yu pointed out that, in the sent 9, paper pointed out that, “speed up amendment and perfect access grid of technology standard, and engineering specification and related management approach, support new energy, and can renewable energy, and energy-saving consumption and resources utilization Unit Internet, active advance new energy and can renewable energy power and other movie, and grid of effective convergence, in accordance with planning seriously implementation can renewable energy power supportability acquisition system, solution good no discrimination, and no obstacles Internet problem. “Since then, the country explicitly and repeatedly puts” green power priority “principle. National wind power price, there are clearly defined. The Yunnan province of the wind companies imposed punitive “Exchange transaction” fees is not fair for wind turbine manufacturers. Not conducive to energy saving and emission reduction, green development in Yunnan province. Meanwhile, Lin Yu also said the plight of thermal power enterprises, essentially renewable energy such as hydropower, wind power, photovoltaic, and gradually grow, fossil energy such as thermal power “crowding out” effect. As the energy industry restructuring efforts to increase national thermal power enterprise’s predicament is not hard to predict. Spanned out power channels rarely or are being planned, under construction in case, of course, cannot sit back and new energy to dissolve hard. New energy locally to dissolve hard, but also to find ways to do it. In this context, balance between efficiency and fairness, become an inevitable choice of power grid enterprises and new energy. It is understood, some businesses in the current up wind, abandoned power constantly’s case, had to start selling its power station, began to take the asset-light route. The latest case is, once wanted to enter the domestic photovoltaic power plant holdings of the first echelon of the downwind 17th clean energy bulletin, to be equivalent to total 1.2 billion yuan to sell its Jiangxi shunfeng photovoltaic investment held by the subsidiary company 9 180MW ground station. Media, public relations Director of the company, said Zhang ruimin, which is proactive initiatives to respond to market changes. The so-called “market”, industry analysts say, but is the most serious local blackouts, power prices low, subsidies long delay time, the financial situation is not optimistic. Holding power plant costs are too high in the current situation, the future asset-light route. Analysis of the industry, mainly due to a decline in market demand and rapid growth of thermal power installed capacity and wind power but make way for a power plant. Under the tide of global carbon reduction, China’s wind power industry could be to put on a thermal power to fight back. In this regard, China Wind Energy Association, Jian Heng Qin Haiyan, Certification Center Director wrote that, although in recent years maintained a relatively high growth rate of wind power, but to satisfy countries to cope with climate change and the urgent needs of severe environmental pollution problems, still have to pick up the pace, take on more responsibility. In Paris, shortly before the climate conference, China pledged that by 2030 China’s primary energy consumption proportion of non-fossil energy around 20%, by 2020 up to 15%. As promised, in the “Thirteen-Five” period, China’s grid-connected wind power cumulative installed capacity should be at least 250 million kW. In order to ensure the achievement of this objective, must solve the prominent problems that beset wind power development, and avoid the influence of wind power is the biggest obstacle to industrial development. Data show that since the beginning of winter, Gansu, Ningxia, Heilongjiang and other areas of abandoned some wind projects wind up to 60%. Judging from the current situation, the problem has become worse, and even some local government departments issued a wind compensation of thermal power and simply ordered wind power suspension for violation of the provisions of the renewable energy law, severely disrupted the industrial order and market rules. If this momentum is not unchecked, abandon wind problems cannot be effectively addressed, not only “Thirteen-Five” development goals cannot be achieved, the entire wind power industry will be at risk. Solve abandoned wind power, should start with a strategic common understanding. Is prone to serious smog make our country truly experience the use of fossil energy costs also taught us that the environment has reached the unsustainable situation, energy revolution is inevitable. Let can renewable energy enterprise see line dawn of is, recently, for further implementation CPC Central Committee State on further deepening power reform of several views (in the sent 9, paper) and the related supporting file of about requirements, National Energy Council drafting has can renewable energy power full supportability acquisition management approach (sought meaning draft) (Xia said approach), and to society widely sought views. The approach clearly guaranteeing the purchasing renewable power generation in full definition, scope of liability, security and compensation methods. Approach provides, can renewable energy grid power project years electricity is divided into supportability acquisition power part and market trading power part, “supportability acquisition power part through priority arrangements annual power plans, and and grid company signed priority power contract (real contract or post contract) guarantees full acquisition”, and “market trading power part by can renewable energy enterprise through participation market competition way get power contract, and through priority scheduling implementation power contract”. This provision serves to protect the basic benefits of renewable energy projects, and full play to the advantages of lower marginal costs of renewable power, so their rights to giving priority to power generation by means of market competition. In recent years, the abandoned wind up light is always healthy and sustainable development of China’s renewable energy industry’s biggest constraint. The way is our country’s energy authorities in the context of a new electric power system reform and further strengthen their efforts, the implementation of the renewable energy Act and other laws and regulations for renewable energy in full provisions guaranteeing the purchasing, ensure non-fossil energy consumption goals, an important measure to promote revolution in energy production and consumption. After the publication and implementation of the measures, it will be resolved to abandon wind up light problem and promoting effective development of renewable energy such as wind power, photovoltaic industry the main driving force. This is the benign development of renewables is one bright spot. Polaris solar PV net news: even lower oil prices, energy system reform and economic opportunity also exists. Many countries need to adjust their energy policies in order to cope with the new situation. Low-carbon economy is the norm, when gas and oil prices fell at the same time, Governments will be more effective to use natural gas instead of coal-fired power, and still supporting renewable power generation in the short term the Government protection measures. After years of high oil prices in June 2014 to January 2015 fell more than half a year 50%. Such price adjustment for many companies and countries have started looking at what kind of energy they use. But I think, at this point to be considered should not just lower oil prices, but the uncertainty of oil prices, and often pitch may give long-term impact on the economy. Oil prices did not properly reflect the true cost of energy. Because the price of fossil fuels not used, produces a series of negative effects in the consideration. Air pollution is one of the worst affected–in some fast-growing economies, air pollution is harmful to health, and reduce the productivity of millions of people. In 2012, the outdoor air pollution caused about 3.7 million premature deaths in the world. Lower oil prices now, it can be seen as a great opportunity for price adjustments, some areas use environment and health adverse effects are taken into account. In 2014, sharp declines in oil prices, you begin to wonder about mixing and renewable sources of energy whether the growth trend will continue. In this regard, we have reason to believe that new sources of energy will continue to grow. Historically, there are concerns that renewable energy is a less reliable option, because the wind does not always blow, not every day is a sunny day. But this concern increasingly is not a problem. Even wind and solar have natural limitations, natural gas can also be an ideal supplement for thermal power generation. In addition, energy storage technologies are progressing fast in the next few years, new energy now faced major problems could be resolved. Renewable energy the intrinsic driving force is long term: still need a lot of stimulation, while Governments were willing to guarantee the local supply and demand, minimizing the dependence on fossil fuels–we are talking about here is “political will”. Globally, oil is not the only option for electricity production, similar to the solar photovoltaic energy technology is not under the influence of oil price fluctuations. Renewable energy costs fell, and volatility is not large, which let new energy technology has become a very attractive option. Now, the global policy framework is seeking a low-carbon economy to a comprehensive response to climate change and pollution. The political will has not changed. Long term, low oil prices could bring natural gas and coal prices, this influence was profound. But in the electric power production, and renewable source of low fuel prices are not directly compete. Renewable energy cost reduction, and low volatility. On the premise of effective control of carbon dioxide emissions, big oil consumers will benefit from lower prices on fossil fuels. Longer term, the ambitious low-carbon policy is enough to 35% to 50% to push down the price of fossil fuels. To seize this opportunity, oil consuming Nations should form and tone: even if fossil-fuel prices, low-carbon policies can not be changed. Here can be said a Kazakhstan examples over the past few years, the energy-consuming countries transition to cleaner energy. They have rich reserves of natural resources: coal, oil, natural gas and uranium, in addition to wind, solar, hydro bio-energy potential. Kazakhstan still rely mainly on fossil fuels to generate electricity, total 75% of electricity production in thermal power plants, it’s no wonder now Kazakhstan from all walks of life worried about greenhouse gas emissions they produce, as well as the negative effects on human health and the environment. Kazakhstan is the challenge that faces the imminent threat of their rapid economic growth, the demand for energy services has been on the rise, it is going to build a plant to meet the demand. Renewable energy is a very attractive option, the problem is the use of these renewable energy faces a series of technical, social and economic obstacles. Kazakhstan President Nursultan Nazarbayev (Nursultan Nazarbayev) 2012 has done a meaningful statement, called “carbon economy era is coming to an end. As we approach a new era, human activities must be based on the reduced consumption of oil and gas on the basis of the development of renewable energy. ” In my opinion, it has defined the Kazakhstan development direction in the future. Renewable energies can make important contributions to the diversification of the economy, creating new jobs, if Kazakhstan became one of the Top50 countries around the world, it is necessary to have a similar commitment to the promotion of new energy industry. If you want to promote renewable energy, what policies are needed? In order to achieve the Kyoto Protocol (KyotoProtocol) provisions, Kazakhstan committed to 2020 carbon emissions compared to 1992 and 15%, 25% reduction in 2050. 2013 Kazakhstan’s “2050 years ago transition to a green economy” concept of the State primarily to serve the economic and power plate in the direction of sustainable transformation. Kazakhstan’s problem: their lack of talent and ability, and what government support is not enough. Kazakhstan electricity prices are low, long-term electricity purchase tariffs with uncertainty and lack of credit resources, it is very difficult to attract foreign investment. That makes renewable energy development is not only a lack of financial resources, not like some other fossil fuel industries enjoy huge subsidies, it is difficult to lift investors ‘ interest. Institutional barriers is reflected in the absence of a clear national plan for renewable energy development, no specific scheme, the lack of competitive legislative and regulatory system. Now Kazakhstan in the oil and gas sector continues to be a big winner, so that a successful economy and emission reduction must be done by the leadership of the Government. All in all, even though lower oil prices, energy system reform and economic opportunity also exists. Many countries need to adjust their energy policies in order to cope with the new situation. Low-carbon economy is the norm, when gas and oil prices fell at the same time, Governments will be more effective to use natural gas instead of coal-fired power, and still supporting renewable power generation in the short term the Government protection measures. Even if in the long run, in the field of transport, oil substitute products are also dependent on policy support. Long term, low fossil fuel prices should not be seen as a challenge, but a good result from low-carbon policies. Original title: did you fall in the oil price would not have to develop new sources of energy? 2012 China and double reverse review just in July this year, for the first time ended, the second retrial and menacing, may be found in early results will be published in the near future, eventually found to be settled in the year 2016. EnergyTrend observation of the TrendForce’s new energy business Department, which is currently in early progress only in anti-dumping some of the preliminary findings, such as according to estimates about 5% tax rates drop, Trina solar will be the big winner, stability in the United States market share, Motech lose tax advantages, Mau di indirect impact United States the quantity and price of the order. As regards anti-subsidy portion are likely to remain flat. EnergyTrend Lin Yanrong, an analyst pointed out, if only to observe the anti-dumping tax rate reduction, manufacturers generally 2.4%, is unlikely to decline. Direct domestic shipments from the mainland United States is most Trina, this review is the biggest winner, only anti-dumping margin fell 5.14%. If this estimated rate drop of around 5%, Trina local supply capacity are still around 9% of gross profit and Thailand buy their new production capacity in the successful mass production can continue to supply United States. Other Chinese manufacturers to cut the tax rate advantage is not clear, but manufacturers in the near future in a third layout of capacity has matured and will gradually narrow the tax, the tax review as a whole have little effect on Chinese manufacturers. In contrast, Taiwan, rates for shipments to the US would not be cost-effective for most manufacturers, only Motech orders this year sharply to indirect exports to United States orders lean. If this review rates cut come true, Motech will be the most affected manufacturers, original because of the tax advantages enjoyed high prices will instantly appear oppressive, return to the same starting point as the other competitors. Watch Trina solar, solar manufacturers over the past year, is divided into three shipments to the us. 1) local capacity to China to pay tariffs of about 30%, 2) purchased Taiwan Motech cells with the lowest tax rates, to the third component, Motech 11.45% tax rate applicable, 3) buy a third battery, and encapsulated into a component in the third, three ways need not pay the tariffs. Due to the land tax rate is too high, and the third battery capacity of scarce, 2015 many manufacturers to Motech solar cell to the third-generation factories into components, Motech so eat plenty of benefits of tax advantages, benefit from annual shipments. Motech indirectly to the United States order price is higher than the remaining plant at least US$0.1/W above, especially the second half of the United States orders a hot, Motech more United States highest orders over US$0.355/W, amounting to about 15% of gross margins. Lin Yan Rong said the anti-dumping tax rate cut, a countervailing duty rate unchanged as the estimated cost figure, although this rate cut is small, but has major US manufacturers from China direct supplier costs less than using Motech increase has large cells, enough to impact Motech indirect United States the quantity and price of the order. Polaris solar PV net news: suspended for more than half of listed companies in Hong Kong Chinese film energy trends: reduction of company Chairman Li Hejun recently on the sidelines of 2.5 billion shares and involves about 450 million Yuan, reducing its stake from the previous 80.75% to 74.75%. Li Hejun suddenly OTC holdings, attracting market attention, which leads to a lot of questions: silence more than six months in, Li Hejun and their management teams are busy doing what? Li Hejun why this sudden reduction? Now money is tight? Who are the buyers, the legendary “White Knight” appears? With these problems, the securities times journalists trying to interview relevant persons, and recently the company in a series of events exploring the capital operation of Chinese film energy context. HKEx disclosure data shows that Li Hejun on December 21 at OTC holdings of 2.5 billion Chinese thin film energy shares, price only HK $ 0.22 per share (about 0.18 yuan), a Chinese film energy suspension HK $ 3.91 a share before substantial discount of more than 94%! Equity ratio fell from 80.75% to 74.75%. Can understand Li Hejun chose this moment of reason behind the share reduction, the reporter called Lam, one of the telephone company executives, but once connected have been unanswered. In fact, earlier Chinese capital chain emergency messages have flooded the market. “Corporate capital chain tension is true. “These sources confirmed earlier Chinese thin film energy (00566.HK) parent company, Hina group in a case without any reason, owed to developer a long field (01113.HK) collection of HK $ million rents something anything, but the details are slightly out from foreign media reports. It is learned that the Chinese group with an Asia-Pacific headquarters in Hong Kong, at 77, the Center building. However, this “rent” dispute is read as Chinese film and its parent company hanergy holding Group appeared a clear signal of tight cash flow. Some media earlier reported that Chinese group seeking buyers, Li Hejun be sold with bundled hydropower assets and 15% Han to film stock, and has been central to contact acquisition. There is news that Han can sell assets may not be limited to its known as “cash cows” hydro assets. “The past six months, Li Hejun engage potential investors and his team on numerous occasions, but so far have not identified the message. “These people said. On May 20 this year, Hong Kong has just opened, Chinese thin-film power in a short period from HK $ 7.35 collapsed to HK $ 3.91 before the emergency stop plate, dropped as much as 46.8%. From 10:15 to 10:40, Han fell $ 3.09, Li Hejun of 33.62 billion shares worth down 103.9 billion Hong Kong dollars about people from 83 billion yuan. If you are starting from the opening of 7.35, Li Hejun lost 92.5 billion. After that company was the Hong Kong stock exchange was ordered to suspend business. After the suspension of Chinese negative news. Earlier this month, Chinese thin film energy reported cumulative payments due under the contract of sale is still does not meet the prerequisites for all equipment the total price 80%, relevant recommendations of the company by HK $ 5.38 per share respectively, placing 33 billion new shares to pagodas and petrochemical, and filled the investment placing 1.1-1.1 billion new shares of Inner Mongolia agreement has expired. In addition, the recent Executive changes for troubled Chinese was even worse. On December 23, issued by the Chinese film generation, former Executive Director of the company finance director Li Guangmin based on career development has resigned, the company also appointed Huang Songchun took over the position, Li Guangmin confirm that there is no difference of opinion with the Board; in addition, the company appointed Si Haijian, Zhang worked as Executive Director. End of media as Li Hejun, “” sales of 2.5 billion Chinese thin film energy shares, although share prices discounted by a wide margin, but with a value of about 450 million Yuan, market concerns: who will be the ultimate buyers? Beijing time on November 10, Google on Monday unveiled a new open source tool, this tool can make it and to share the knowledge and experience in machine learning. ”Compared with the original system, TensorFlow faster, smarter and more flexible, so you can more easily adapt to new products and research. “Google CEO sangdaer·pichayi (Sundar Pichai) on Monday published a blog post saying. Google senior researcher jiefu·Dien (Jeff Dean) and Technical Director of laya·Mengjia (Rajat Monga) said DistBelief the focus of attention is the neural network, and internal infrastructure linked with Google, which means that the system is “almost impossible to share research with external code”. In addition, by some calculations, 1 time times the speed of TensorFlow is equivalent to DistBelief. Google launched this new tool is designed for researchers, engineers, and hobbyists can exchange ideas at a faster rate. Meanwhile, Google’s own researchers also benefit when using TensorFlow to new achievements. Polaris solar PV net news: towering in the Chile desert, Atacama 1 collector-Tower as high as 200 metres Tower-type solar thermal power station will collect energy from the Sun uses a lot of mirrors. But the total investment up to $ 1.1 billion, and Latin America’s first building in the large molten salt Tower-type solar thermal power station, because of its Spain developer Abengoa recently ran into financial difficulty and suffered from questions. In Chile the Atacama desert hinterland, stands a more than 200-metre high tower, which in remote areas but it is Chile’s second giant of the high buildings, from a distance, seems like a reclusive Prophet in the temple or Temple of the ancient gods, towering and majestic. In fact, this has a unique structure of the building under construction is a molten salt Tower-type solar thermal power plant, will be built by more than 1 km in diameter mirror field with high precision tracking systems to track and gather the Sun’s heat, a lot of people saw it could put it in touch with contemporary art together. Atacama 1 that is still in the construction of solar thermal power plants can be said to be Chile from dirty fossil fuel power generation to cleaner and a sign of smart power mode changes. Also thanks to the vast wilderness resources and the best light in terms of resource, Chile is also expected to achieve global minimum cost of solar thermal power. Earlier this month, was a global concern Paris climate talks to achieve a new global climate change agreement. Under the agreement, the world’s nearly 200 countries have agreed to strengthen the global response to the threat of climate change. Chile Atacama 1, a total investment of $ 1.1 billion in solar-thermal power station have the common expectations of hope around the world, as it is to show the humanity of renewable energy technologies has gone very far. But many of the projects Spain developer Abengoa reported financial difficulties, and also reminds us of the energy transition faces financial uncertainty may bring more problems than engineering. At present, Atacama 1 compared to the height of London gherkin and Trump Tower in New York goes beyond the topic structure of Tower-type solar thermal power stations have been completed. The project will be the next big challenge is: how to make iron and steel materials, weighing up to 2000 tons of solar receiver by using the hydraulic jack be installed on more than 200 meters of the top of the tower. System run time during the day, through the receiver weighs more than 50000 tonnes of molten salt can be heated to 565 ℃ high temperature and heat storage, as the sun sets later stored heat can continue to drive a steam turbine to continuously generate electricity. In addition, the staff through regular cleaning to ensure the cleanliness of 10600 heliostats in order for them to better collect and reflect sunlight. It is reported that this city has hosted numerous renewable energy supporters dream of Tower-type solar thermal power plants to meet the design goals will become a 24-hour uninterrupted capacity 110MW base load power stations. At present, although in the United States than the Atacama 1 larger-scale solar thermal power plants, but the project is South America’s first large-scale solar thermal power plant. And even the whole world, the project is also the largest tower installed molten salt solar-thermal power station. According to the project said, Atacama 1 plant per square metre compared to the power of United States, and Spain and South Africa and other regions of the same technology and scale of the project to more than 30%. The Atacama desert at an altitude of more than 1100 meters high, solar radiation intensity is very strong, and even can be said to have some risk. To visit visitors must wear protective equipment such as seat belts, helmets and boots, also need to wear sunglasses and apply requirements of industrial-grade protective sunscreen. Despite the very hot weather, security personnel still need to wear a thick uniform and covered every inch of your skin. Only two or three days a year here is overcast, light intensity and stability is attracting a growing number of solar developers to the Atacama, there has grown to become one of the world’s leading Center for renewable energy development. Accompanied by the positives of the stimulation, Atacama desert, renewable energy industry is developing with astonishing speed. In addition to solar thermal power plant, here in building a capacity of 100MW PV power generation projects, but also has a daily Assembly 36 heliostat production lines. Every day, the heliostat installed by truck to be shipped to the project site. Roberto Herrera recalls: “can you imagine that three years ago when I first came to the scene you see here? Time is nothing, no animal, even a Scorpion do not see. And now Chile and South Africa have become our solar business one of the most rapidly growing area of the company. “According to him, the company currently plans to Chile North and South to build solar power projects. But reality may will compared cruel, despite Atacama 1 power station and local Government signed has a copies up 20 years of power contract (by sent power most will for meet industrial need, as world Shang maximum of open copper Chuquicamata), and acquisition electric price stable and and profitable, but due to by its developers Abengoa debt of effect, the project of follow-up advance is has may will by some effect. Leveraged development along with the obstacles to expansion mode, Abengoa was forced to start bankruptcy proceedings earlier this month. It is reported that even before the announced restructuring, Abengoa company executives also said that due to lack of Chile government economic subsidies, Atacama 1 the subsequent construction of the power station will need huge financial support. Deformation and folding process takes only a few seconds, and the products have different sizes to choose from, ranging from 11.8-inch/30cm to 17.7 inch/45cm. But you don’t have to worry about it being too fragile, because it is strong enough to support a 10 kilogram object. Levit8 is not only cheap and fashion, also be able to withstand the weight. In it you can convert between flat and solid twisted State. Foldable design makes it very portable, the bag was not a question. Stereo support mode lets you put your laptop on high, is said to be able to handle up to 23 pounds (10kg) – the weight of even a 15-inch MacBook Pro without any problem. Touching the Levit8, still affordable prices. Yet just a few days time, it reached us $ $4000 of the fundraising target. At present, the project is still in the prototype stage in the late, estimated production time for next March. Interested users can get out of the US $ $32 to support it, and shipping time will be held in June next year. Polaris solar PV net news: getting United States Energy Secretary after a recent financial support, United States Southern Research Institute plans to October 2017 using its installed 1MWth high temperature heat storage technology to build a new storage model project. It is reported that these researchers responsible for the development of research and development projects by Alabama United States in September this year, the Department of energy to implement SunShot has allocated $ 32 million to support 14 research projects. SunShot plans want to support the project to find a way to solve solar-thermal power station subsystem bottlenecks, further reducing power generation costs. SolarReserve companies received $ 2 million in funding support to develop thermal storage system based on supercritical carbon dioxide cycle, refined and customized enhanced calcium oxide can be carried out in a parallel plate heat exchanger reversible reaction. SolarReserve’s chief researcher SantoshGangwal in charge of the project said that the system can be applied to the solar thermal power Tower project, compared to current technology heat energy density can be greatly improved. According to Gangwal introduction, because of the high energy density of the system, compared with molten salt system is much smaller in size, same storage capacity size one-sixth size of molten salt heat storage system. Current solar thermal power stations using steam turbines and conventional thermal power stations, is a relatively mature technology, but because the system operating temperature is typically 480 ℃ or less, so the system efficiency will therefore be restricted. SolarReserve of new type thermal energy storage systems have completed the laboratory accreditation, system operating temperatures of 750 degrees Celsius. According to Gangwal introduced by using supercritical carbon dioxide cycle, system conversion efficiency can be increased to about 50%, compared the efficiency of conventional steam cycle can improve 10%. It is learnt that the SolarReserve company research and development of heat storage system using adsorbent material from a low-cost raw materials, the researchers believe that their storage system can reduce storage costs to $ 13 -15/KWth, can meet the United States DOE SunShot plan to 2020 heat-storage costs between $ 15 and $/KWth goal. At present, the SunShot plan, supported by almost all those involved in the United States the light and heat of solar-thermal power generation project companies in developing various elements associated with high temperature systems. For example, Spain Abengoa is investing in research and development and optimized to meet the high temperature heat transfer medium using the collector, and SolarReserve has been investing in operating temperatures up to 750 ° c ceramic collectors. In addition, these research projects will also provide growth opportunities for a series of related enterprises, including adsorbent manufacturers, mass storage device manufacturers, suppliers of heat exchange and high pressure pump suppliers. By October 2016, SolarReserve will expand the scale of its demonstration projects, as needed and laboratory systems of adsorbent material a ton or more. It is reported that the Solar Reserve plans to finish construction of October 2017 a 1MWth storage system and installed 10-50MW commercial demonstration projects in cooperation talks if the construction plans. Introduced by Solar Reserve, for the commercialization of its thermal energy storage system deployment plans by the year 2021, Abengoa, and Solar Reserve and Masdar Tower-type solar thermal power station developer is the commercialization of the technology cooperation promotion candidate, is expected to pass the technical participation or licenses and other forms of cooperation. Polaris solar PV net news: recently, hareon continuous announcements related to asset sales, business development, personnel changes and other aspects, suggesting that investment and introduce Windows or around. Hareon solar today announced that company a wholly owned subsidiary of hairun of Inner Mongolia electric power Investment Corporation will establish a giant sea of Inner Mongolia electric power in Inner Mongolia alone investments limited, with registered capital of 10 million Yuan, while the proposed company will invest in Inner Mongolia’s new run solar company, with registered capital of 5 million Yuan. Notice that the foreign investment in the company is mainly engaged in the ground power plant investment, construction and management services. Help to further enhance the company’s overall profitability, in line with the company’s long-term plans. This is the second company in Switzerland, Pakistan, Hong Kong, Yunnan and other photovoltaic resources inside and outside together after the project development of continuous action. Not long after, hareon begins transfer of a series of asset sales to revenue initiatives. According to understand, sea run PV sold has is located in taixing of sea run Yang child new energy limited 100% equity, is expected to get 14.07 million Yuan Yuan returns, sold has is located in Taicang of aotesiwei photoelectric power (Taicang) limited 100% equity, is expected to get 12.11 million Yuan Yuan returns, while full funding subsidiary sea run Hong Kong through transfer holds of related equity get 8500 Yuan HK, full funding subsidiary sea run energy Japan Corporation transfer related equity get 10 million yen. Markets interpret this series of moves as hareon began to gradually Peel PV industry and accurate distributed in photovoltaic business development resource-rich region. Hareon Chairman Yang Huaijin believes that in areas rich in solar resources for investment and cooperation, expanding the lower station layout on the business side. This can market opportunities, to seize the business markets and raw materials, on the other hand you can also dissolve its capacity, balance supply and demand. In addition, hareon, forestry, ecological and other aspects involved, the company said wholly-owned subsidiary hareon (Shanghai) co plan establishment of zhenyuan County in qingyang city, Gansu province, zhenyuan County-owned Grand view ecosystems Ltd, registered capital of 1 million people. The company is mainly engaged in agriculture and forestry development, construction and operation of facilities will further enhance the company’s overall profitability. It is reported that, through a series of business and strategic planning, hareon operating costs decreasing. People’s Bank of China said in a statement supporting the recent financial institutions issuance of green bonds, PV as a clean energy source are included in the catalog of green bonds support projects. It is considered would ease PV enterprises ‘ financing difficulties. As the larger domestic PV manufacturers, hareon after performance loss, and high transfer after the incident, warming would like to provide ease of space became one of the topics of investor interest. Yang Huaijin recently resigned as President and Chief Executive of the company, brought or will introduce more outside investment and imagination. This special build of Logitech Logitech and Apple CREATE backlit keyboard protector, so you get to stitch. Extensive support for Smart Connector? Intelligent connections, realize the keyboard Plug-and-play, no start, matching and charge, allowing you to easily enjoy convenient input methods, the flexibility to record ideas or completing the work. It includes the black, blue and red, multiple color options, provide you with a more personalized options. In addition, its full-size keyboard fully supports iOS9 shortcuts, plus adjustable backlight feature and the two angle support, allowing you to fully use the iPad Pro iOS new characteristics and wide working space – and even might be more efficient for you to open, more creative new ways of working. Logitech CREATE backlit keyboard protector designed for the iPad Pro is born. IPad Pro unique Smart Connector, through this innovative intelligent connection, Logitech CREATE backlit keyboard protector, like native Apple keyboard, realize seamlessly with iPad Pro data and power transmission. When you place the typing position, and Logitech CREATE backlit keyboard protector that is started automatically, and the connection with the iPad Pro, without Bluetooth pairing. After you are connected, through Smart smart connection directly from the iPad Pro power supply Connector, you never need to consider charging problems. Since then, get to release creative potential. The Protector provides two support angle let you publish status updates, watch videos, or when you are using Apple Pencil to take notes more effectively and enjoy the beautiful iPad Pro wide screen experience. Belong to the Logitech CREATE series, and Logitech CREATE multi point protection. It may be used for angle adjustment, easy to meet your various needs. Flexible base for the protective cover has a hidden hinge firmly supports your iPad Pro, it allows you to get the angle you want in a 60-degree range. The iPad Pro upright on the stand, either comfortably watch videos or use Apple flat pencil Pencil Apple drawing, for almost every usage scenario, this case can provide the right angle. Logitech CREATE series of two iPad Pro exclusive sleeve lightweight but effective front and back protection for the iPad Pro, its dense quality fabrics can effectively resist accidental collisions, scratches and spills. Allows you to fully unleash that potential, to find a stitch. Polaris solar PV net news: 24th June Ma, Chief Economist at the Central Bank on the inter-bank bond market green bonds, told reporters over the next 5 years, China needs at least 2 trillion per year green investment, investment covers projects, such as environmental protection, energy saving, clean, and this may be a conservative estimate. Therefore, you must solve the problem of green financing. Bank 23rd announcement, launch green bonds in the inter-bank bond market. Green finance bonds financial institutions legal person according to law issued in the inter-bank bond market, raising funds to support the green industry projects and according to the agreed debt-servicing portfolio. The Central Bank said, green finance bonds launched for financial institutions through the bond markets to raise funds to support environmental protection, energy efficiency, clean energy, clean transportation, green industry innovation financing, to increase the effective supply of green credit, particularly long-term green credits, will be the Green an important initiative in the financial system. Bond trading Cao Yuanyuan, Director of the Central Bank’s financial markets Division, 24th told reporters, after the introduction of green financial bonds in the inter-bank market, the next step will facilitate issuance of green bonds, the issuer at the time of issue must truthfully information disclosure to make a pledge to invest in green projects to funding as soon as possible in, disclosure requirements for funds will be higher. Hope local governments and other departments in areas such as tax, interest, and introduced a number of measures to encourage green debt development. Ma predicted that future Green bond financing will be growing at a higher rate. According to reports, green 9% of the total credit balances of credit, China’s banking industry average debt maturity of 6 months, due to the short duration, a large number of green credit difficult to fully functional. Next, financial institutions can issue Green bonds in the interbank market, will solve this problem. Green bonds support measures will be gradually improved. Bank green bonds support projects list provided by the 24th, according to the level classification of green bonds support projects including energy conservation, pollution prevention, resource conservation and recycling, cleaner transportation, clean energy, ecological protection and adaptation to climate change in six categories. The Central Bank said, a clear definition and classification of green bonds support projects, list of green bonds support projects, green bond market in China is to promote healthy and sustainable development of Foundation work, green bonds can be issued, approval and registration, third-party assessment and green bond rating, and provide a basis for disclosure of environmental information. Ma described, bank credit information center has already reached an agreement with the Ministry of environmental protection, environmental violation records into the enterprise credit information system. China and the United Kingdom will also jointly promote the planning and building of international standard green bonds. Central University of finance and climate and Energy Research Center said Xu Nan, distinguished senior policy analyst, green supported the bond market is one of the focus areas of green infrastructure, projected that in the next 5 years, subway, light rail, intelligent transportation systems, municipal clean energy, green construction, green infrastructure projects such as urban environmental protection and water supplies of at least 10 trillion yuan of investment. Quite a few of these projects are long-term, stable cash flow of the project, suitable for use of green bonds for financing. Abandon wind up is our problem? How to power off-grid PV development of securities? Reflections on the transformation of what is difficult about energy? Where the anterior? 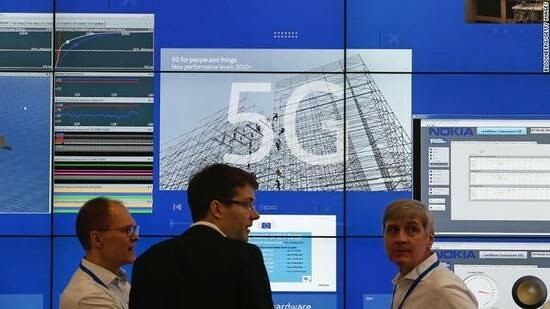 It is understood that the current United States four big carriers and mobile equipment operators and many other companies have initiated the development of 5G technology. 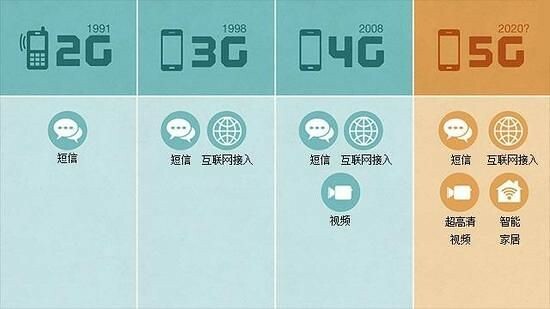 5G literally means the 5th generation mobile communication technology, but its final standards have not yet been established, that is, 5G is what, and how key parameters such as speed, and so on. AT&T Bill Smith, President of network operations is expected, the International Telecommunication Union (ITU) in 2019, 5G standards. However, in simple terms, 5G faster speeds, lower power consumption is beyond doubt. According to reports, theoretically 5G speed will be 40 times 4G times to 8K resolution of 3D video in real time, or equivalent to download a 3D movie in 6 seconds. By contrast, 4G downloaded 6 minutes. However, this is a laboratory level, there will always be a gap to the actual run time. 5G, it is understood that, with the current actual use of 700MHz to 3500MHz compared to the frequency spectrum in mobile communication networks, mobile device test on 5G using the UHF spectrum in the near future, such as the 73GHz spectrum. High frequency spectrum provides a high data transfer rate, but due to electromagnetic wave propagation is only a short distance, so easy to obstruction. To resolve this issue, mobile operators may require additional millions of small base stations and coverage to every telegraph pole, every building, every room. Polaris solar network: distributed solar will not only get a certain amount of State subsidies, and selling at a profit, so more and more people eager to PV investment. Three risks but also live with it, that is, when choosing a cooperative enterprise risk, choosing to invest in areas of risk and the risk of selected buildings. Share with you today are the three major risks in the most complex, most need to consider when choosing a cooperative enterprise risk. Model: lease the roof: the roof of that investor rental owners, regular payment of the rent agreed upon well in advance. Mode II: energy management contract (EMC): the roof of that investor rental owners, owners ‘ sale to below the grid to electricity generated by photovoltaic modules, the remaining power into the grid sales into the grid. Investors considering cooperation mode, selection of considered was that the owners need to be synchronized. Distributed in photovoltaic investments, we will cooperate in the enterprise known as the owners. Owners can be divided into 2 types: high-quality, represented by State-owned enterprises, listed companies and other enterprises. For potential investors, you first need to confirm PV investment cooperation patterns, different modes of cooperation, in the face of risk is different. If the parties to the contract energy management model of cooperation, the interests of property owners and PV module capacity is directly related to the higher the PV module power, owners can use cheap electricity has increased, which enhances the owners maintain the initiative of PV modules. If the parties to a rooftop lease cooperation, the owner of the interest is independent of the components, which makes little initiative of owners for the maintenance kit. By contrast, owners for a PV module strong motivation for investors to maintain components, reduced the risk of abnormal loss components, contract energy management contracts became investors favor cooperation. Compared to a simple roof rental model, once the investor plans to introduce energy management contract model of cooperation, it is necessary to take more measures to reduce the risk of owners default on electricity. First, select a high level of cooperation is the best way to reduce electricity bills are owed. State-owned enterprises and listed companies will become the best partner, because the State-owned electricity bill paid by the financial, owed investors electricity problems do not exist. For listed companies, and arrears negative social impacts of electricity, causing fluctuations in its share price to a large extent, once stock prices fluctuate, the value will be far higher than the default value of electricity, so the behavior of listed companies would not make such a lose. Of course, when looking for a partner, we will also take into account both the enterprises to other enterprises. For such companies, investors tend to customers by third-party credit reporting agency credit assessments in order to reduce the risk. Method one: application grid collect payment of electricity. Investors can apply for collection by power grid electricity. Taking into account the default grid electricity will lead to power outages affecting daily routine, owners default on electricity will be much less likely. But such charges has only been tried in some areas, no mass adoption. Method two: banks control mechanisms. For example, in the banks to set aside part of the security deposit, if owners default on electricity, can be deducted from the security deposit by investor are owed for electricity. Method three: a supplemental agreement was signed. For example, specified in the agreement, if the owner has defaulted electricity bills, investors have the right to change forms, from spontaneous use into full Internet access. All distributed in photovoltaic investment risks, is the owner of the most deadly roof owners due to insolvency or other reasons. For this kind of risk, if enterprises in the Park, the investors signed an agreement in advance with the Park to ensure the roof rights after the change, later took over the property rights of enterprises to accept PV module, or allow investors to form into a full Internet access. Although the method can reduce the risk of roof owners, but the solution is still very limited, so investors need to look out for. Right to choose the mode of co-operation, the joint venture and charges, while seeking a certain degree of legal protection, distributed PV investment decisions in, will be indispensable. Single measures did not prevent the risk’s occurrence, comprehensive and careful planning can minimize the risk. Original title: distributed PV investment how to choose partners? Polaris solar PV net news: according to the latest customs statistics, November 2015 China poly silicon imports broke again, 10028 tonnes, significantly increased 33.6% per cent, primarily due to the current month from Korea imports to return to peak at 4687 tons, accounted for 46.7%. October imports is due to the decline of Korea some polysilicon manufacturers to stop production and repair, from Korea imports in total imports are down. Average prices for imports in November fell to $ 16.93 per kg per cent 2.5% per cent, while from the United States and Germany month import prices are rising, United States rose as high as 51.7%, only Korea below $ 15 per cent to $ 14.20/kg, resulting in November overall import price decline. Thus, since Korea changes in imports and rise in import prices for imports and price have played absolute lead. In November since the United States imports are reduced 11.1% per cent to 474 tonnes, but by way of processing trade imported 331 tons, than correction, up to 69.9%. Was mainly due after August 31 are due part of the handbook after special approval again to continue to implement the order, customs data processing trade imports are still in there. November total taxable non-General trade imports 2464 tons of polysilicon, 24.6% per cent of total imports for the month, this form of duty-free imports mainly 2292 tons as “bonded warehouse” approach clearance, required regulatory attention. In addition, is still noticeable in November from Taiwan re-entering the domestic polysilicon capacity of 1004 tons, in the proportion of total imports for the month still 10%, already five months beyond the United States became China’s third largest importing region. It is well known that Taiwan not polysilicon production enterprise, but customs data of Taiwan appears as a country of origin, can be falsified certificate of origin, the other is the need to impose steep tariffs the United States Silicon re Taiwan, processed into ingots exported in mainland China to avoid lines. It is understood that the recent Taiwan from the United States imported polysilicon and Taiwan enter the domestic polysilicon agreement, Taiwan from the United States imported polysilicon almost the whole amount transferred to mainland China, United States Silicon by Taiwan re escape phenomenon of increasingly rampant. According to November points country imports data displayed, 1-November cumulative total imports volume 106447 tons, compared increased 14.5%, which since Korea, and United States, and Germany, and Taiwan four a area total imports polysilicon 8766 tons, accounted for total imports volume of 87.4%, which from Korea imports volume for 4687 tons, accounted for total imports volume of 46.7%; from United States imports volume for 474 tons, accounted for total imports volume of 4.7%; from Germany imports volume for 2601 tons, accounted for total imports volume of 25.9% From Taiwan imports of 1004 tons, total imports of 10%; 1262 tonnes were imported in other regions, accounted for 12.6%. First, in November from Taiwan imports of 1004 tons polysilicon, 10% per cent of total imports for the month in January-November, Taiwan imported 9258 tons, an increase of 18.3%. Until June 2015, Taiwan imports accounted for at around the tune of basic, starting from July, Taiwan imports than increasing until it hit its record high in October 14.3%, as of November had five months beyond the United States became China’s third largest importing region. Practical beyond the United States and it is not surprising that, apparently due to directly import United States of polycrystalline silicon, now entered the Chinese market, and bypass Taiwan, after processing into the domestic continues to hit the market. In November, for example, from the United States and Taiwan imported a total of 1478 tons, and processing trade alone without having to plug from the United States imported almost the same amount, therefore inferred from Taiwan polysilicon are mostly imported from the United States to enter Taiwan, processed into ingots and then re-exports to China, but also a forged certificate of origin may be. Transit Taiwan on anti-circumvention is more important that severely weakened the “double reverse” and “58th,” is effective, the impact on domestic polysilicon companies continue, therefore blocking Taiwan transit vulnerability is the immediate top priority. Second, in November from Korea imports of 4687 tons of polysilicon, 46.7% per cent of total imports for the month, significantly increased 52% per cent in November from the Korea import back into peak, mainly because Korea overhaul enterprises to resume production, supply returned to normal. 1-November accumulated since Korea imported 45902 tons, 43.1% per cent of total imports, imports increased significantly from a year 42.8%. Korea’s major exporters OCI and Korea Silicon (HankookSilicon) tax rate of only 2.4% and 2.8%, anti-dumping duties on it does not have any impact, Korea in May 2014 more than United States and Germany, one of the world’s largest source of imports, continuously for more than a year, has remained a priority. November Korea 689 tons of polysilicon by way of processing trade imports, accounted for the month from Korea’s imports of 14.7%. Meanwhile, in November since Korea import prices fall below $ 15 per cent to $ 14.20/kg per cent 6.2% per cent, up by 30.5%. These data shows that, on the one hand, the “58th,” strictly after implementation of Korea by way of processing trade to avoid anti-dumping duties less, on the other hand, due to “double” the Korea anti-dumping penalties too weak, Korea whether it is in the general trade and processing trade exports to China, had no effect on its, and it can be repeatedly lower the price dumping. Obviously, Korea imported both from the price or import production had serious impact on domestic markets, so Korea review dumping should be put on the agenda in a timely manner. Three-way, according to the trade in November 2015, China’s processing trade imports 2464 tons, accounted for 24.6%, has been at around the 20% in March. 1-November accumulated by processing trade imports 48423 tons, 45.5% per cent of total imports. Points country specific seems: November since Korea by processing trade way imports polysilicon 689 tons, accounted for since Korea imports total of 14.7%, 1-November cumulative since Korea by processing trade way imports 15012 tons, accounted for cumulative total imports volume of 32.7%, even 2.4% of tax are to through processing trade way avoid; November since United States by processing trade way imports polysilicon 331 tons, accounted for since United States imports total of 69.9%, again return became processing trade accounted for than highest of national November volume of processing trade has rebounded largely due to Manual orders that are not completed before the August 31 after special approval of the extension. 1-November accumulated since the United States by way of processing trade imports 11683 tons, 88.5% per cent; in November from Germany by way of processing trade imports 1292 tons of polysilicon, Germany’s imports of 49.7%, mainly with imports in bonded warehouses storing delayed cargo release related. In November Germany in the bonded warehousing of 1267 tons of transit goods, other than general trade imports almost all in the bonded warehouse, Germany in November, bonded warehouse 55.3% proportion of the total re-exports, United States 14.1%, Korea 24.1%, “bonded warehouse” has become the main way of circumventing the sanctions, require regulatory scrutiny. November 2015 from the Korea import of 4687 tons of polysilicon, the chain increased substantially by 52% November import price below 15 USD/kg and then a record low, down 14.20 USD/kg, or 6.2% per cent. 2015 1 November accumulated from the Korea import polysilicon 45902 tons, an increase of 42.8% 1-today November imports averaged 16.54 USD/kg, or 21.1% per cent. November 2015 the United States imports of 474 tons of polysilicon, the chain fell by 11.1%; unit price of imports in November rose sharply to 35.28 dollars/kg per cent 51.7% per cent. 2015 1 by November from the United States imported polysilicon 13208 tons, down 34.7% 1-November import price of 18.19 USD/kg, compared with 2% per cent. November 2015 from Germany import of 2601 tons of polysilicon, the chain increased 5.8% November import price was 19.14 USD/kg, per cent 3.6% per cent. Today 2015 1 November from Germany import of 29236 tons of polysilicon, growth 8.5% 1-November accumulated import price of us $ 20.34 per kg, compared with 13.8% per cent. According to customs statistics, in November 2015, China exported 591 tons of polysilicon, from the 51%, today 1-November exports 7023 tons, up substantially by 230%. Polaris solar PV net news: on one side are serious beyond the absorptive capacity of new energy “squeeze” Internet access, is to ensure a stable and reliable electricity safely, in the face of new energy to dissolve problems, industry experts said: “grid is a ‘ weak ‘”. The wind finally came. The day before Christmas, Beijing was again from the new wave of haze crisis. Warning, severe pollution, color values are explosive, vehicle restrictions … … Back-to-back in North China since the beginning of winter and the smog to get people into a “wind” of anxiety, and make people aware of, and nothing is more important than a breath of fresh air. Most importantly, green and low-carbon development ideas are deeply rooted, is imperative. “Fossil fuels”, the use of clean energy is an important part of low carbon green growth. In this connection, our country has been at the forefront of the world. According to current 24% of the total installed capacity of renewable energy world, installed the world’s increment of 42%, is energy saving and the use of new and renewable sources of energy in the world’s first superpower. However, in the “Fame” behind the abandoned wind up as a serious problem in China. According to statistics, first half of the year, the national wind up wind power of 17.5 billion, an increase of 10.1 billion degrees; mean abandon wind, 15.2% rose 6.8%. Among them, the Gansu abandon wind energy of 3.1 billion, abandoning wind 31%, abandoned main in West Inner Mongolia wind power (abandoned wind 20%) and Gansu (abandoned wind rate, 31%) and other places. Photovoltaics, the first three quarters of this year, China PV power of 30.6 billion, leaving about 3 billion degrees of light, abandoned light was 10%, Xinjiang (Corps) abandoned the light power of 1.04 billion, abandon rates 20%. New energy industry itself, the actual growth rate greatly exceeds the advance planning. Today, China’s new energy development has come in the world, as the world’s largest wind turbine, the PV’s fastest-growing countries. 2012 grid-connected wind power cumulative capacity ranks first in the world in 2013, grid-connected PV cumulative volume ranked second in the world, the development of new energy utilization with advanced countries in Europe and America. Industry experts said that only 5.5-year period for China to walk through the history of wind power development in Europe and the United States 15. “Catch The Wave, doubling every year, exponential growth is not a good thing, can scale, but can not exceed the capacity, in conjunction with national conditions, matching with market demand. “New energy industry for more than 30 years of China’s Energy Research Institute of new energy Chairman, former Vice Director of Hu Chengchun said. New energy is intermittent and fluctuations, large-scale grid-connected renewable energy like a group of naughty children haunt the safe and stable operation of the grid. Is beyond the absorptive capacity of new energy “squeeze” Internet access is to ensure stable and reliable current safety sent to protect network security. New energy to dissolve difficult, industry experts said: “grid is a ‘ weak ‘”. In addition, out of sync is the important issues facing new energy to dissolve. Use of new energy, grid is the most important way to eliminate, and to make the new energy sent out must rely on Smart grids. States have enacted “Twelve-Five” wind power, solar power and other special plans, but new energy base out of the channel were not implemented. National planning 9 qianwanqianwa wind power base, 7 of which are in “three North” areas, currently only in Hami, Jiuquan and West Inner Mongolia 3 bases, such as trans-regional power transmission project. Media reports in the past of “Eleven-Five”, “Twelve-Five” for 10 years, planning has been in sync. The 10-year, fast-growing electricity demand high load on the one hand, on the one hand is the Southwest and “three North” area of surplus resources need to be delivered, effective mechanisms for the allocation of resources between the two appears unbalanced. Power grid project approval lags behind the new energy projects, new energy-rich regions in varying degrees across province and insufficient channel capacity problems, has become the rigid constraints of new energy to dissolve. Gansu Jiuquan wind power base of installed capacity has more than 12 million-kilowatt, solar 6 million-kilowatt, Jiuquan-Hunan construction of UHV DC approved projects until May 2015, 2017 is expected to put into production, underdeveloped delivery channels 2-3. This entailed a certain degree of up wind power. Power is the key to new energy transmission. New energy “squeeze” the Internet situation, sgcc has been tried, spare no efforts to eliminate new energy. Today, the national grid is the largest grid in the current global access to new sources of energy. Up to November 2015, national dispatching scope of grid-connected renewable energy installed capacity totals 146.26 million-kilowatt trillion, accounting for 12.4% of the total installed capacity. In January-November, today new energy generating capacity of 231.7 billion, accounting for 5.6% of the total generating capacity. New energy in 15 provinces and has become the second-largest power, 11 of which are in the “three North” area, accounted for more than 10%. In January-November, spanned, across the province, delivered to the national grid wind turbine and photovoltaic power of 26 billion, an increase of 48%. State grid Corporation, held on December 18 “Thirteen-Five” power development planning Research Conference, the State grid Corporation said, will increase the intensity of new energy development, 2020 wind power, photovoltaic, 150 million kW of installed capacity of 240 million kW. In terms of installed capacity power supply arrangements, the “Thirteen-Five” period, the State power company will be more determination and adjustment of the power structure, optimization of power distribution, control total coal consumption, vigorously develop clean energy to ease growing pressure of resource constraints, environmental pollution and carbon emissions. 2020 national total power installed capacity is expected 2.07 billion kilowatt, compared with 2014 added 700 million kW, with an average annual increase of 120 million kW. Percentage of installed capacity of clean energy in 2020 to 2014 in 39.3%. Original title: “solved” who is to blame, tens of billions of power go? Polaris solar PV net news: Reporter learned from the Jiangxi provincial development and Reform Commission, the province around the city solar project construction sequence can be included in the annual construction plans of the local photovoltaic power generation, PV power generation projects and declared into the province. 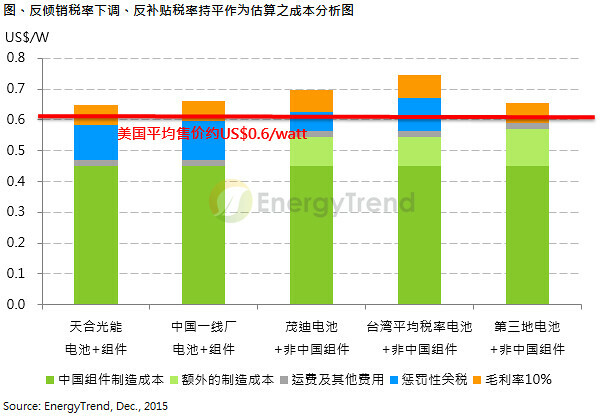 Planned projects can receive a maximum of 0.62 Yuan/kWh electricity subsidies. Development and reform commissions at all levels in Jiangxi province (Department of energy) are urging departments concerned to establish more stringent than other PV projects of construction enterprises access standards, control the quality of products and construction of photovoltaic projects. Included in the plans for construction of photovoltaic projects in Jiangxi province, priority national and provincial benefits. Among them, according to “spontaneous use, more than power” mode of construction project, access to grid electricity charges paid income (charging by the thermal power benchmark pricing), and enjoy a country 0.42 Yuan/kWh electricity subsidies and 0.2 Yuan/kWh electricity subsidies at the provincial level.